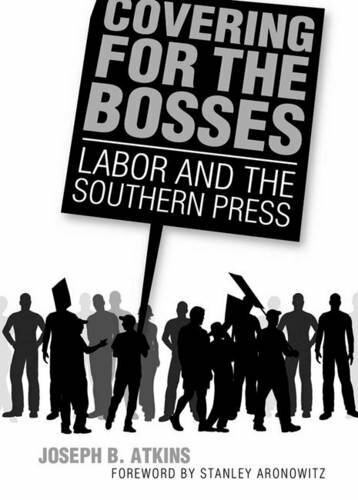 Covering for the Bosses: Labor and the Southern Press probes the difficult relationship between the press and organized labor in the South from the past to the present day. Written by a veteran journalist and first-hand observer of the labor movement and its treatment in the region's newspapers and other media, the text focuses on the modern South that has evolved since World War II. In gathering materials for this book, Joseph B. Atkins crisscrossed the region, interviewing workers, managers, labor organizers, immigrants, activists, and journalists, and canvassing labor archives. Using individual events to reveal the broad picture, Covering for the Bosses is a personal journey by a textile worker's son who grew up in North Carolina, worked on tobacco farms and in textile plants as a young man, and went on to cover as a reporter many of the developments described in this book. Atkins details the fall of the once-dominant textile industry and the region's emergence as the "Sunbelt South." He explores the advent of "Detroit South" with the arrival of foreign automakers from Japan, Germany, and South Korea. And finally he relates the effects of the influx of millions of workers from Mexico and elsewhere. Covering for the Bosses shows how, with few exceptions, the press has been a key partner in the powerful alliance of business and political interests that keep the South the nation's least-unionized region. If you have any questions about this product by Brand: University Press of Mississippi, contact us by completing and submitting the form below. If you are looking for a specif part number, please include it with your message.